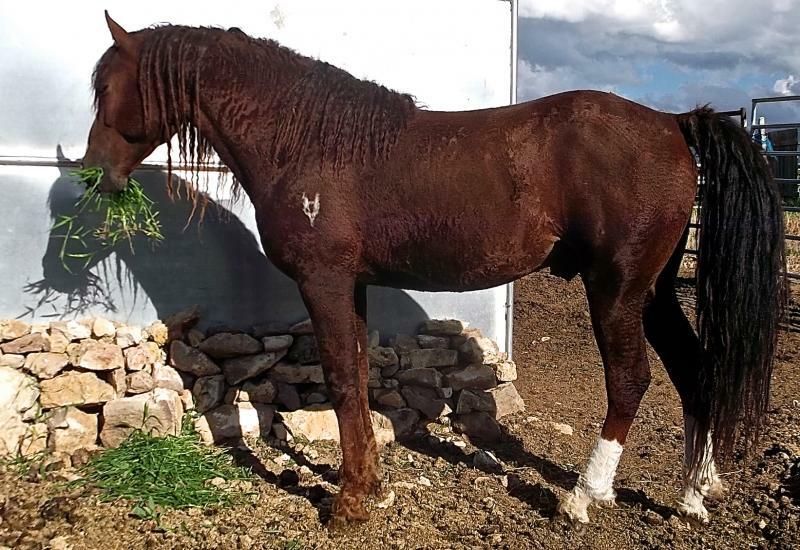 "Dallas" is a dominant curly fox trotter stallion, dual registered MFTHBA and ICHO. "Dallas" is out of "Free Spirit Sarsparilla" (Sassy) and "DCC Vegas" a dominant curly MFTHBA stallion. "Dallas" is siring a high percentage of CURLY foals when bred to straight haired mares! About 70%! He is also putting legs with lots of reach, gait, excellent conformation and great dispositions on his offspring. He also has "medicine spots"/ "Bend Or Spots", which he is passing on to his chestnut / palomino offspring!